6. 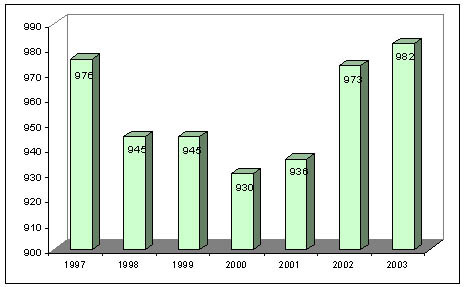 Total number of cases and petitions being processed by year. The preceding chart shows the total number of cases and petitions being processed by the Commission in the past seven years. 7. 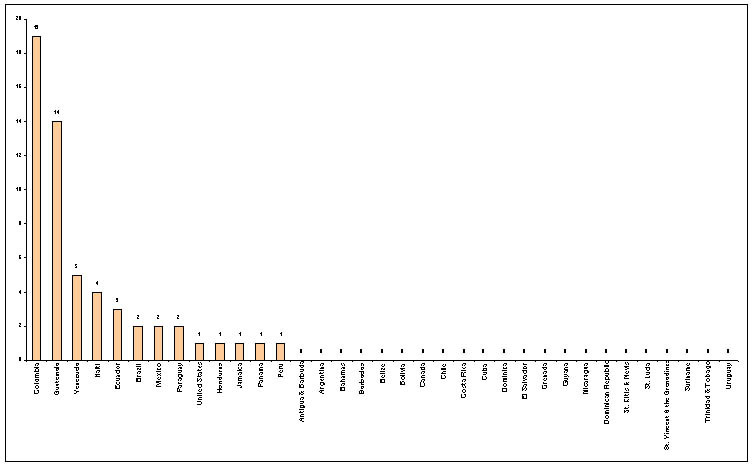 Total number of Precautionary measures granted by country during 2003. 8. 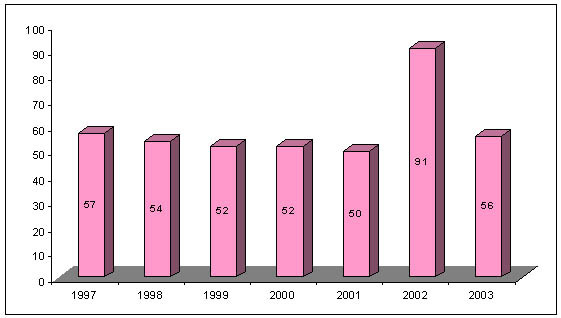 Total number of precautionary measures granted by year. The preceding table shows the total number and variation in the figure corresponding to precautionary measures granted by the IACHR in the past seven years. These measures are granted in order to avoid irreparable harm in situations of extreme emergency. The number of precautionary measures granted does not necessarily reflect the number of persons protected when measures are adopted, since, on many occasions, several persons or entire communities receive protection.